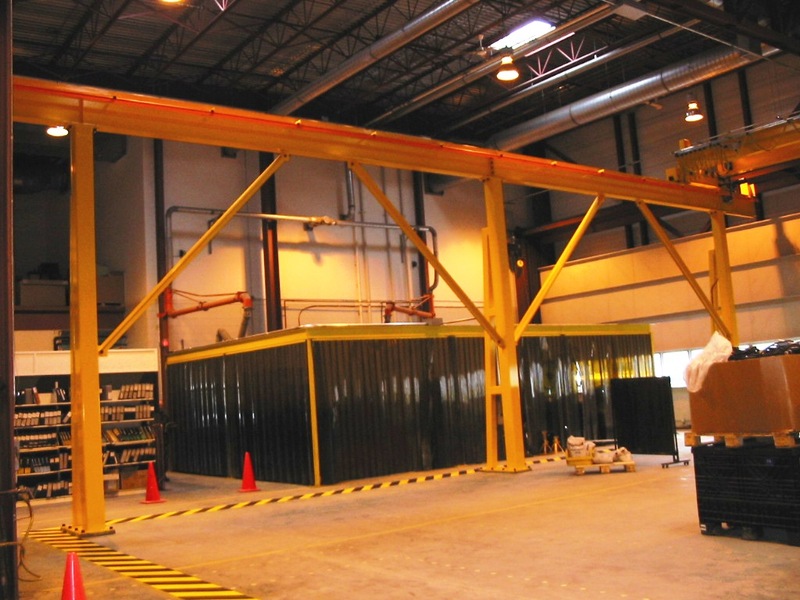 Every runway and support system manufactured at Mussell Crane is built custom to your specific needs; specializing in many different styles of runways and support systems including top running, under running, free standing, and tied back. 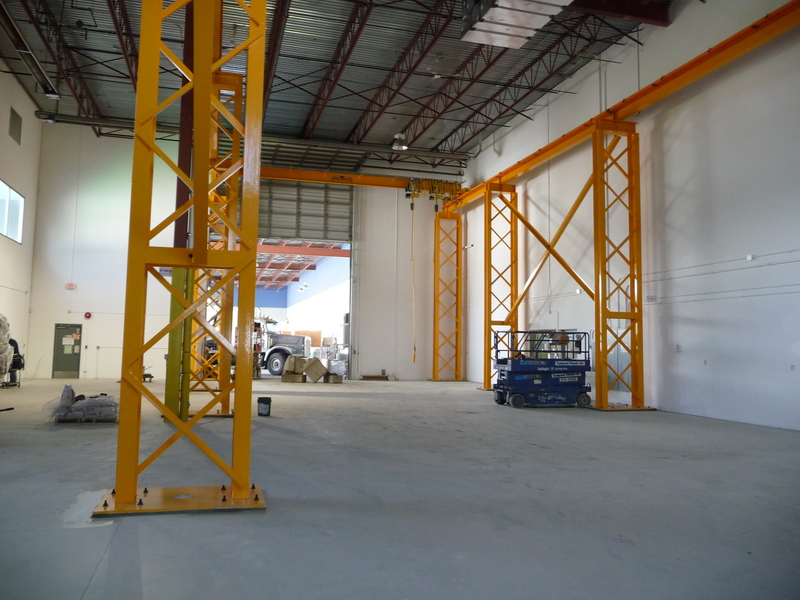 With over 27 years of experience in the industry and a customer list in the thousands, Mussell Crane is confident in supplying the very best possible product for your needs. 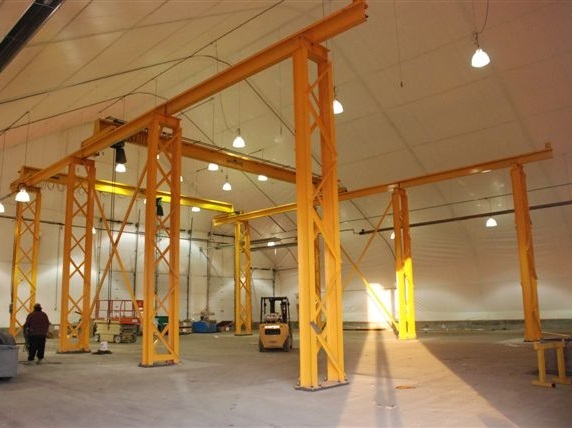 Runway systems designed for top running cranes include a rail on which the end trucks run. 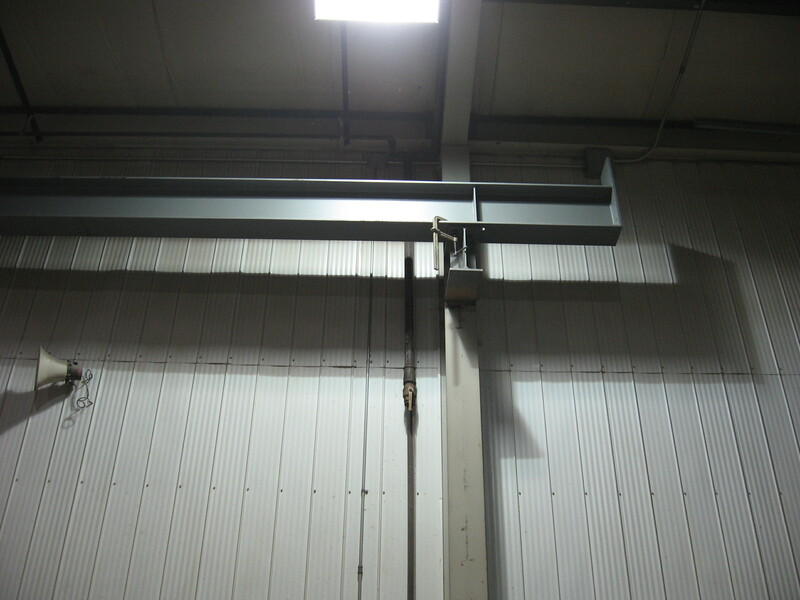 This rail is fastened to the top of the runway beam either by welds (for square bar rails) or hook bolts (for ASCE rail). 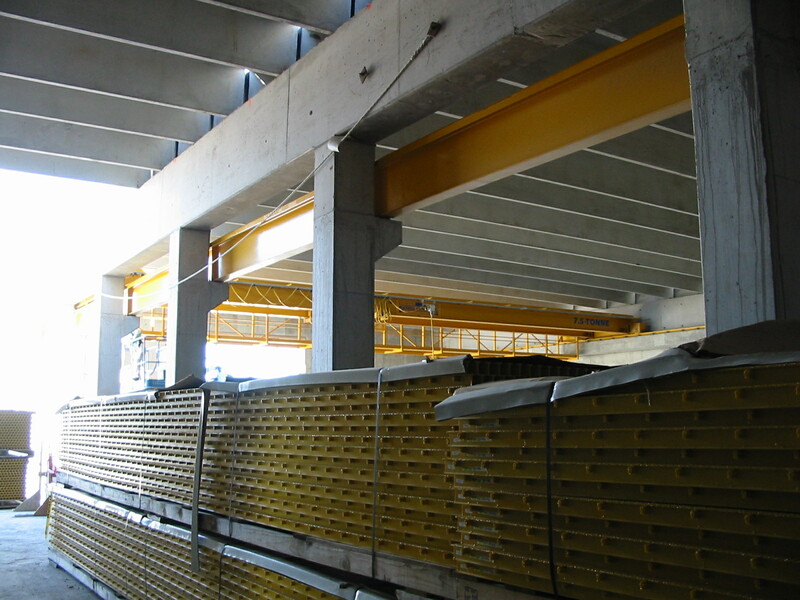 The runway beam is supported by columns and/or corbels. 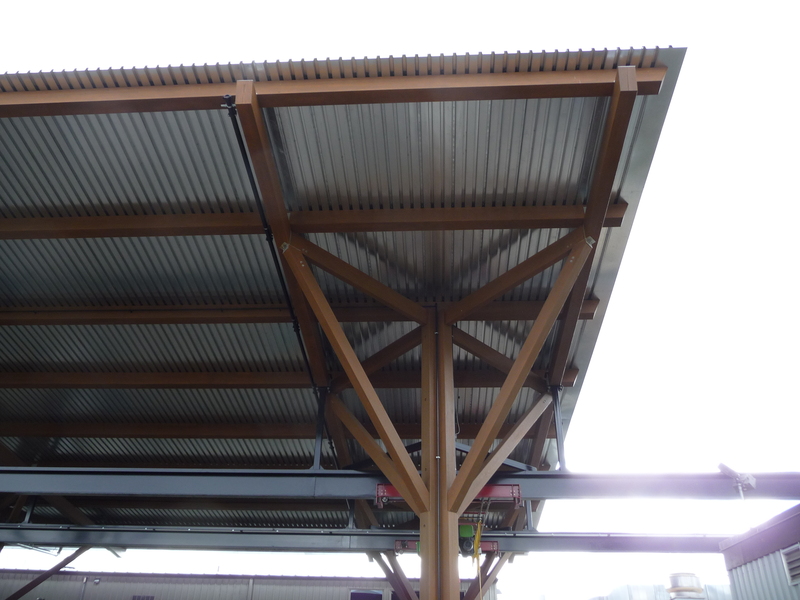 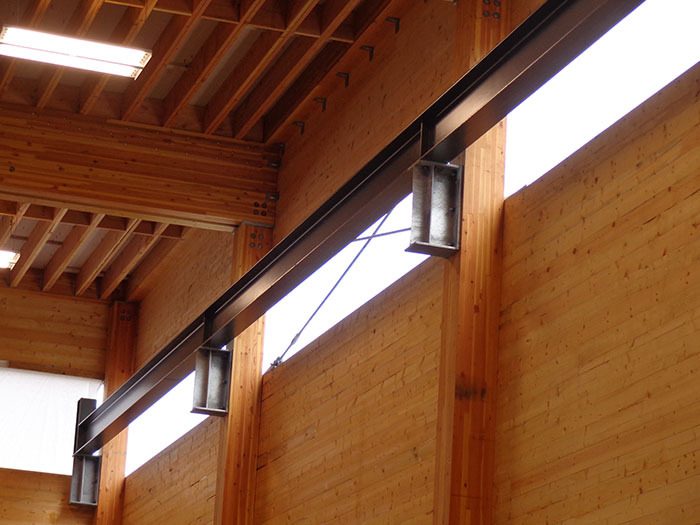 Under running systems run on beams that are suspended from the building frame or corbels. 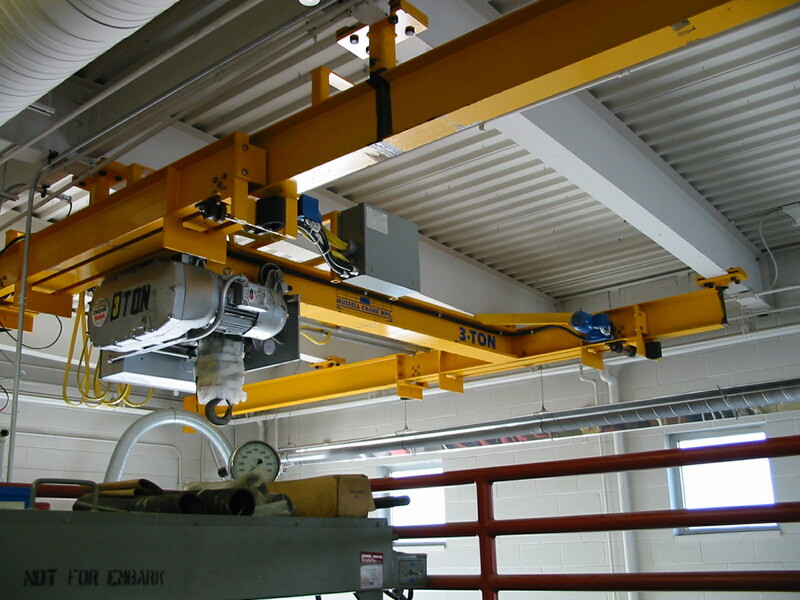 They may also be suspended from a header in a free standing system. 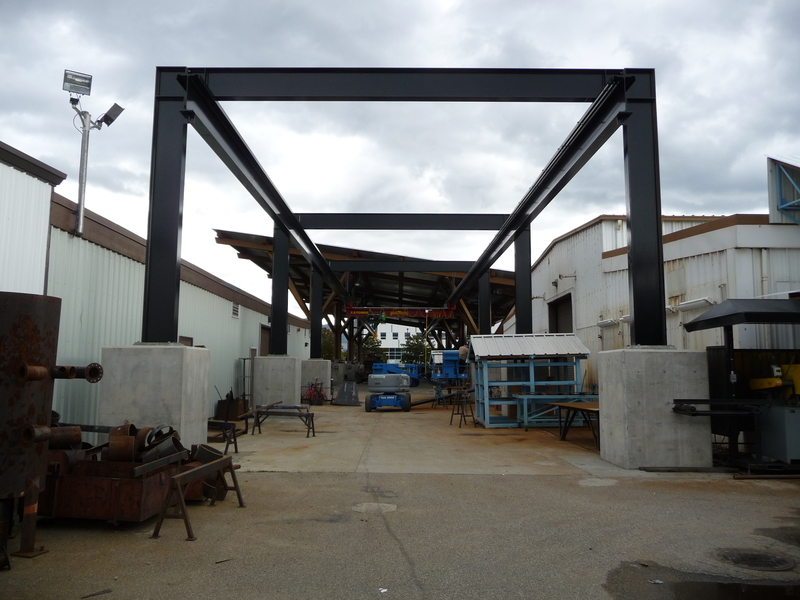 Columns come in many styles depending on the support required, including single-leg, double-leg, free-standing, or tied-back to the building if additional support is needed.